In anticipation of the upcoming launch of Driver: San Francisco, Ubisoft has launched a free web game based on the Driver franchise. Driver: Freeway Fury is available to play in a browser now for free, and submitting your high scores will put you in the running for a grand prize worth $20,000 USD. When plain old driving just isn’t enough, gamers can unleash their fury and climb to their car’s roof for some fresh air… and hijack a ride from another car while their at it thanks to Driver: Freeway Fury. 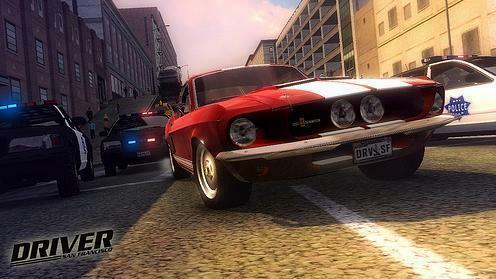 A top-down, fast-paced high-score run, Driver: Freeway Fury tasks players with surviving on the highway while taking down rival vehicles and innocent bystanders. Gain nitro boost by jumping onto other cars, driving into oncoming traffic, and a variety of other crazy stunts. Only thing you can’t do is brake! But why would you want to do that? Players who earn a score of 25,000 in Driver: Freeway Fury will be eligible for an entry into the sweepstakes, and each person who qualifies by 6th September 2011, will earn the Driver: San Francisco ticket and be in with a chance of winning a $20,000 gasoline gift card. Terms and conditions do apply, of course, and you can find out details on these and play the game itself at https://www.kongregate.com/games/Vasco_F/freeway-fury, right now. Electronic Theatre will keep you updated with all the latest details on Driver: Freeway Fury, and other forthcoming games from Ubisoft.